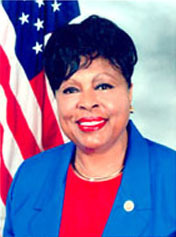 Teacher and state legislator elected to five terms in US Congress beginning in 2001, succeeding Julian C. Dixon. Progressive Democrat; pro-abortion rights, pro-gay rights, anti-gun rights. Supported 2008 Wall Street bailout, 2009 economic stimulus, 2010 health care reform; opposed 2001 USA PATRIOT Act, 2002 Iraq War resolution, 2005 Central American Free Trade Agreement (CAFTA), 2006 Secure Fence Act. Did not seek a sixth term, and succeeded in Congress by Karen Bass in 2011. Served as US Ambassador to Micronesia during the Bill Clinton administration. Originally (and possibly still) a Roman Catholic.